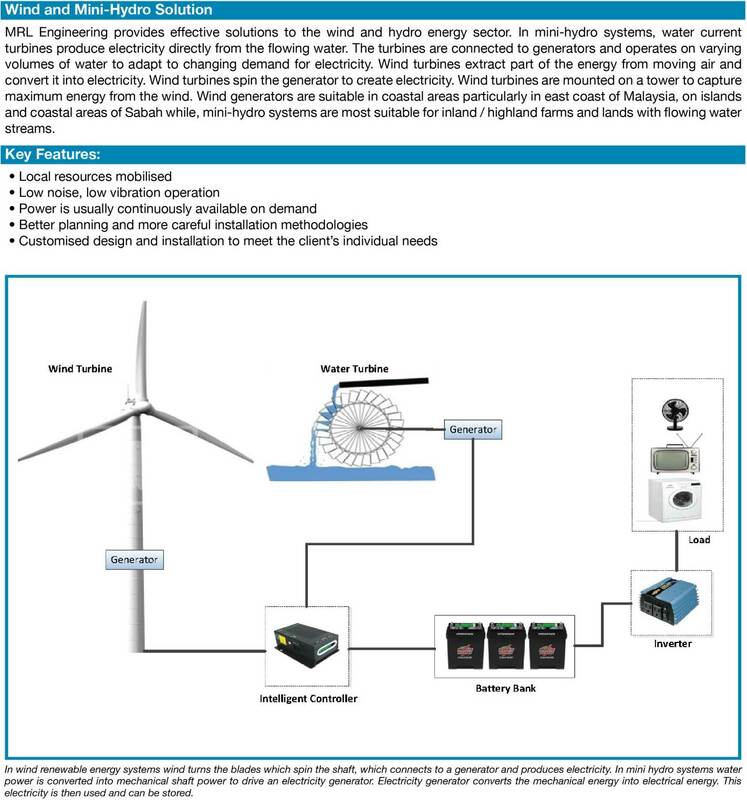 MRL Engineering provide comprehensive solution for Renewable Energy Systems. Renewable Energy Solutions helps residential and businesses achieve power efficiency, reduces carbon footprint and monthly energy charges. 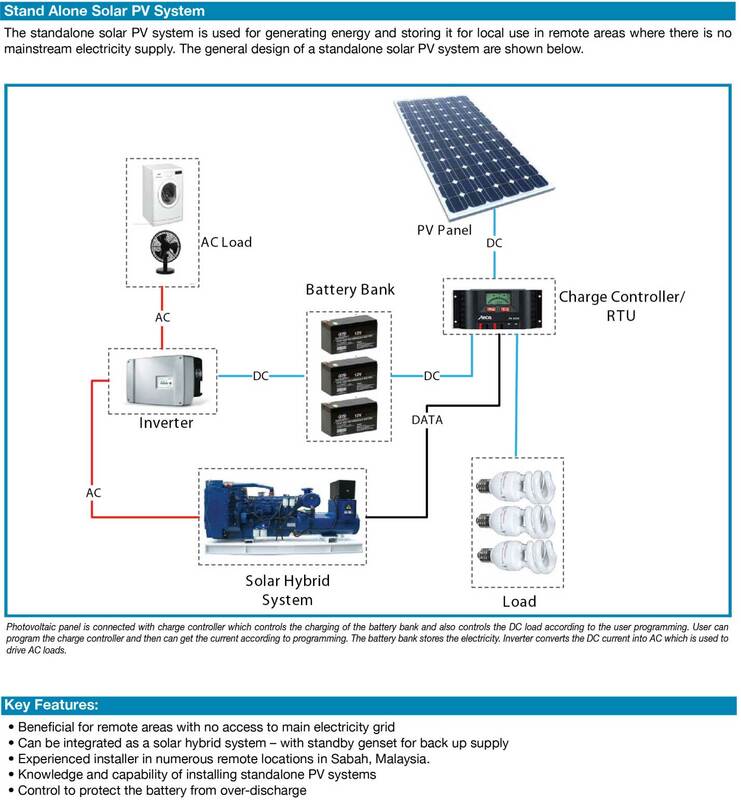 Application example of Renewable Energy Solutions includes Solar Feed in Tarrif Systems, Standalone / Solar Hybrid System, Wind and Hydro Turbine System, Solar Farm and Renewable Energy SCADA Solutions among others. 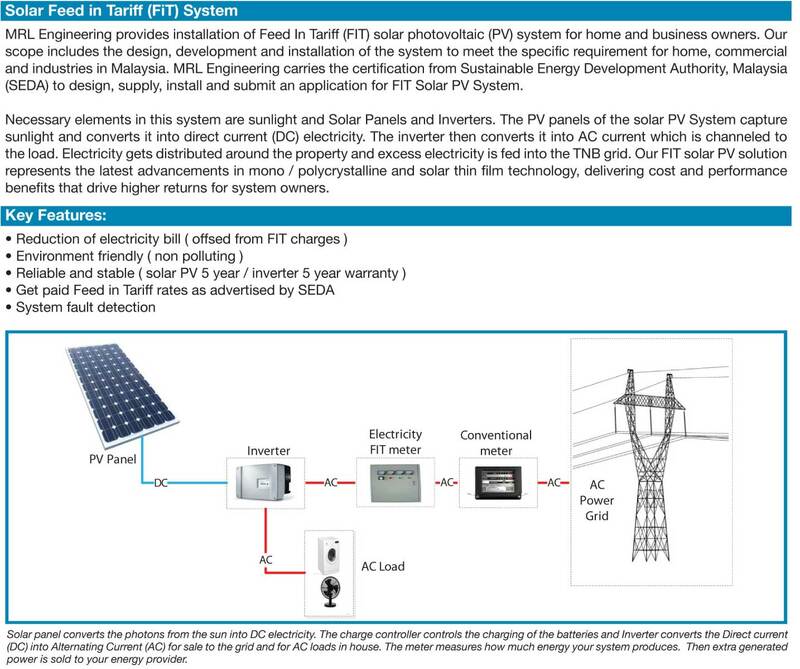 Effective management of the uncertainty and intermittent nature of distributed generation resources like wind and solar power. Provide systematic information to the maintenance team. 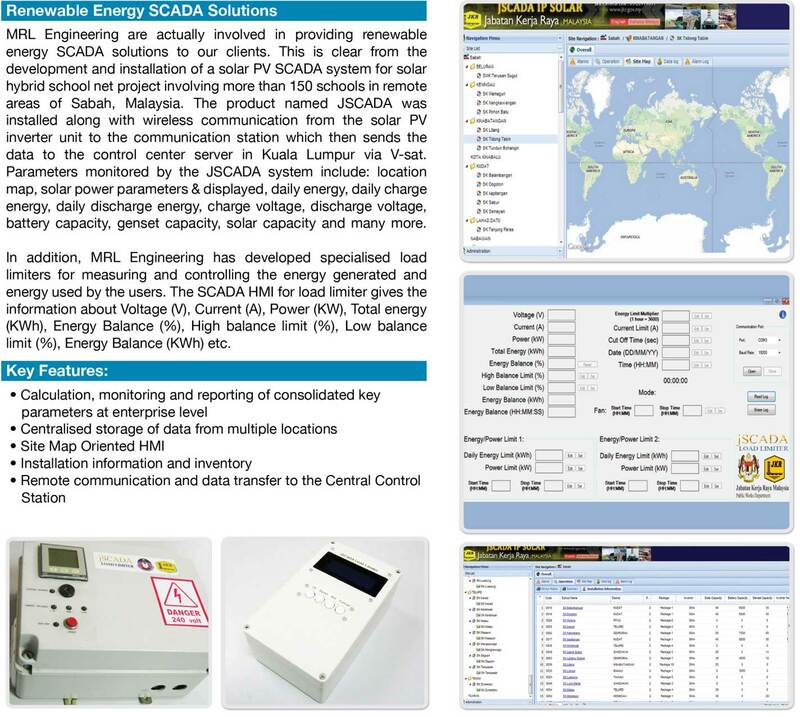 Provide real-time monitoring and control with advanced of user interface.